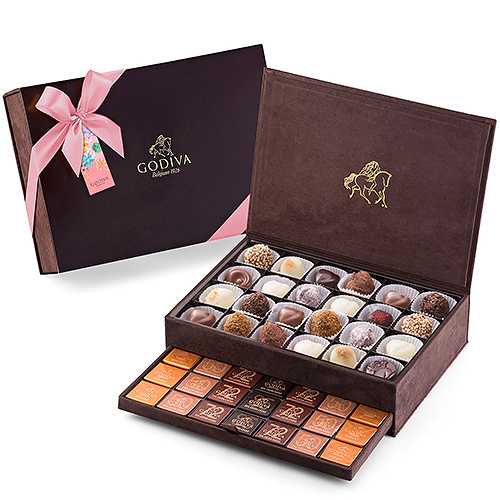 For the gift of all gifts, Godiva’s luxury Royal gift box is sure to impress. This elegant and premium velvet brown box is the perfect keepsake to surprise her on a special day. Godiva’s Royal Box offers Godiva’s delicious chocolates, truffles and tantalizing carrés. This hand-picked assortment has been carefully selected to please the palate of every Mom and the gift is finished with a cute, pink bow.